Hello everyone! I am zeltrax and I will be doing the monthly anime shout outs from now on :) This time we are looking at what is new this august. For this month, there will be not much to announce but that's not really a bad thing. We have a few OVAs and two highly-anticipated movies airing side by side. Do check them out and if something is interesting to you, check out the manga and add them to your favorites! 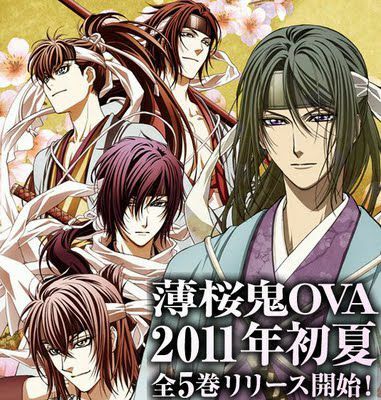 A five episode OVA series spin-off from last year’s Hakuoki Hekketsu-roku television series. 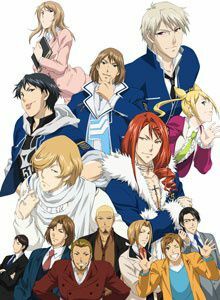 Characters Toshizo Hijikata, Soji Okita, Hajime Saito, Sanosuke Harada, and Heisuke Todo will be featured in one OVA each. An adaption of TYPE-MOON’s Takenashi Eri’s comedic manga series, Take Moon. A TYPE-MOON staff member artist Takenashi Eri has created many side stories to most of the group's projects; 'Tsukihime' & 'Kagetsu Tohya', 'MELTY BLOOD', 'Fate/stay night' -- you'll find your favorite characters in various hilarious situations that weren't covered by any of the original products. It'll be a 25min long program produced by the staff of the TV series. It's unknown whether the program is a recap of the TV series or a new episode. The story is set at Seitei Gakuen, an elite private academy that teaches every level from kindergarten until college in Tokyo. A new female teacher named Minami Yuuri is starting her second year of teaching here, and she is now moving up from teaching middle school students to the assignment she had sought after: grammar for high school students. Unfortunately, she gets assigned to class 3-E. The class, called "Class X," is an infamous group of seniors who lack study skills; it is said that all of their previous teachers have retired due to ulcers or neurosis. Minami must try to reach out to these students, including the six leaders of the class "B6" (Baka 6), and get them into college. Hayate the Combat Butler! 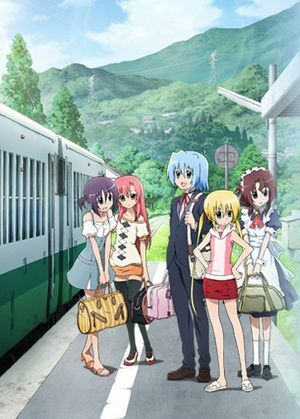 Heaven Is a Place on Earth is an upcoming film adaption of the manga and anime series Hayate the Combat Butler. 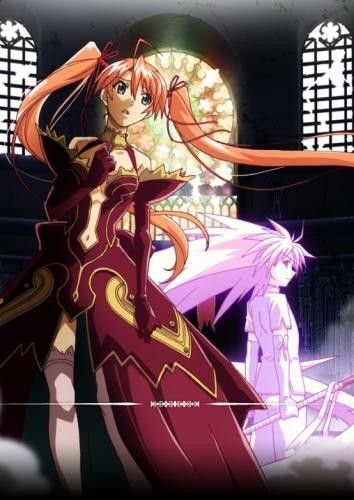 The film will be released in theaters on August 27, 2011 as a double-bill with Mahou Sensei Negima! Anime Final. The story follows a boy named Hayate who serves as a butler, bodyguard, confidante, and more to a girl named Nagi to pay off a 156,804,000-yen (about US$1.8-million) debt. The secret of the "provisional contract" is finally revealed, and what is that immense danger that is approaching Negi and his friends!? 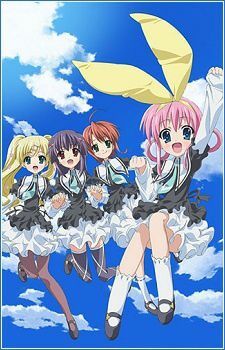 The film will be released in theaters on August 27, 2011 as a double-bill with Hayate the Combat Butler! Heaven Is a Place on Earth. Can't wait for the Anime final of Negima! Going to be fantastic, I'm sure of! I've been pushing negima! back and even further back from my list of to-read until I completely forgotten about it. I know about its awesomeness and I really need to indulge myself in it soon. Well, this description of Negima certainly throws off what anybody was expecting it to be. Especially since the manga's not to that point yet. Knew it was going to be an alternate ending, but after the mm arc... wow. 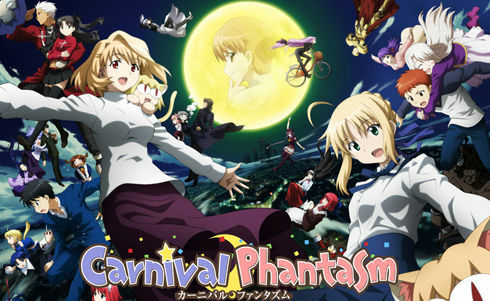 A...am I the only one who wants to See Carnival Phantasm? I'm looking forward to the Hayate movie. An underrated, funny franchise. Why is 'photobucket.com' being used as a host? You can upload the images to mangahelper's gallery..am I right? I hope the images get replaced. Asahina, I replaced it. So sorry to everyone reading this ! and I added saladesu into the credits, its thanks to her that the summary is translated from the official website. Copyright (c) 2007-2017 by MangaHelpers. All rights reserved. All times are GMT . The time now is 16:08.